* Introduction: The purpose of this training programme is to provide necessary knowledge for the execution of proper in-service assessment. Focus is based on the two types of competence-based assessment, namely assessment to verify present competence in the ship’s complement and assessment to verify that training has attained the desired effect. For the company, assessment of competence can be seen as a verification process, which ensures that required competence actually exists. * Introduction: The purpose of this training programme is to teach the principles of the Doppler log as well as the safe and efficient operation of the log during various operational conditions. Important operational aspects are explained and practical operational tips are given. Được sửa bởi Bố già ngày Wed Jan 18, 2017 9:46 am; sửa lần 2. * Introduction: The purpose of this training course is to provide ship personnel with an understanding of how to use GPS Satellite navigation system in a safe and efficient way. System functions and features are described in a clear and concise way as seen from a navigational point of view. System limitations and possible error sources and how to handle them in order to obtain maximum system performance is focused upon throughout the module. As GPS has become the prime positioning system at sea, expertise in using the GPS system is a must for all navigators, regardless of ship size. 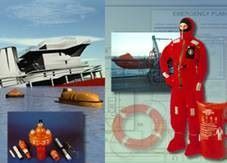 The purpose of this training programme is to provide general and useful information about safe operation of ships in ice conditions. After completion of this module the deck officer will be able to demonstrate knowledge and understanding of ship operations in ice. Được sửa bởi Bố già ngày Wed Jan 18, 2017 9:47 am; sửa lần 2. * Introduction: The purpose of this training program is to provide students with basic damage stability theory and make them understand how to perform damage stability calculations. Knowledge of damage regulations and how to use assessment tables are discussed in detail. The change of floating position and stability parameters in case of damage is discussed in detail. 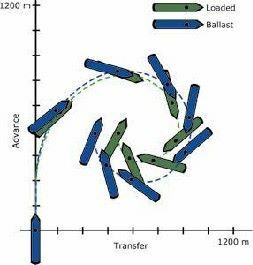 Other important subjects covered are the two primary methodologies used to calculate survivability of a ship after damage i.e. the loss of buoyancy method and the added weight method. Được sửa bởi Bố già ngày Wed Jan 18, 2017 9:48 am; sửa lần 2. * Introduction: The objective of this training program is to acquaint crewmembers with mooring arrangements, their purpose and their location on board. Planning and organizing mooring and anchoring operations are discussed and focus on. The operation and maintenance of winches, windlass and mooring equipment are discussed in detail. what is believed to be a minimum comprehension level in order to understand and use ECDIS and ENC systems in a safe and efficient way. Được sửa bởi Bố già ngày Wed Jan 18, 2017 9:49 am; sửa lần 2. - define the term "shiphandling"
“Best Practice” to be adopted and highlights the risks and dangers associated with the carriage of certain types of bulk cargo. It also introduces aspects related to safety of personnel and the protection of the ship’s structure and stability. The CBT module provides an “easy to follow” understanding of the IMSBC Code and illustrates the dangers of non- compliance with a series of Case Studies of actual accidents/incidents which have occurred within the industry recently. The module will be extremely useful in providing guidance to Shipping Companies, Ship Operators and to the Ship’s Officers involved in Cargo operations onboard. It will assist in maintaining safe and effective Cargo operations in compliance with the Code and observance with Best Practice. 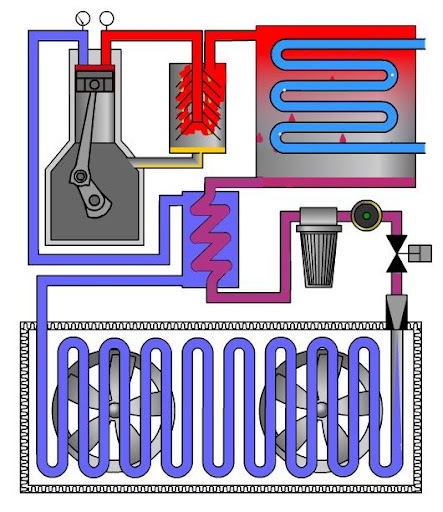 * Introduction: This program familiarizes students with the theory of basic refrigeration. 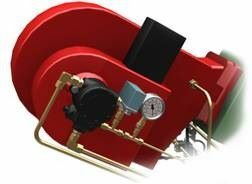 It delivers the basic theoretical knowledge and skills needed to perform normal operation of a refrigeration plant. The program further explains the terminology used to understand the refrigeration cycle. 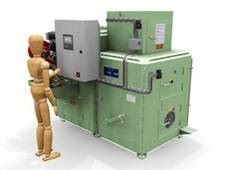 Various types of compressors and other important components of the refrigeration plant are explained in detail. 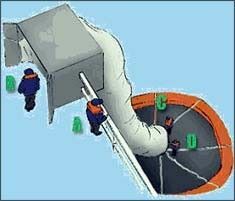 The program has also a built-in simulator of a typical two chamber refrigeration plant. - Describe the role of planning and crew preparedness in ensuring emergency preparedness. - Describe the role of drills and debriefing in maintaining emergency preparedness and promoting situational awareness. - Explain how to plan for the best use of resources. - Identify the practices that promote crew leadership in emergencies. - Describe the importance of encouraging emergency feedback from passengers and providing information to them. Được sửa bởi Bố già ngày Wed Jan 18, 2017 9:53 am; sửa lần 2. Seagull AS together with Viking Line has developed a CBT module covering sulzer medium speed diesel engines. 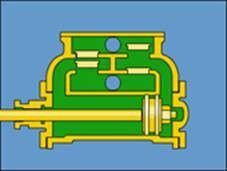 This CBT module will familiarise crewmembers with the sulzer medium speed diesel engine, its purpose and its location on board. The crewmembers will be introduced to how the engine is operated and the required maintenance. The CBT module also gives a brief familiarisation to the start up and operational procedures for Sulzer medium speed diesel engines. The CBT module has been developed in cooperation with Viking Line. 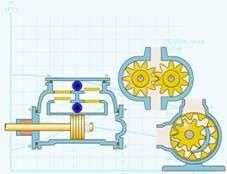 * Introduction: Incorrect operation of pumps can be both time-consuming and expensive. A proper understanding of the different types of pumps and their design and function is essential to operate them in a safe and effective way. Được sửa bởi Bố già ngày Wed Jan 18, 2017 9:54 am; sửa lần 2. 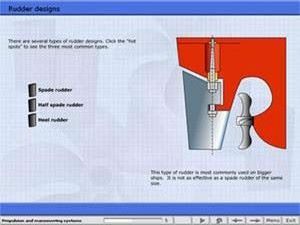 * Introduction: This CBT will help the user to understand the importance of viscosity control regarding fuel and lube oil, and educate the user as to what viscosity really is. Seagull together with Maritiem Instituut “Willem Barentsz” has developed a CBT module covering viscosity control and how to tune three-therm controllers. Được sửa bởi Bố già ngày Wed Jan 18, 2017 10:00 am; sửa lần 2. Thanks a lot for your great effort. For "CBT # 0049: Radar Observation and Plotting", Download link is missing. This module will provide crewmembers with a better understanding of orders and communication with others and will contribute to good human relationships on board a ship. This module will also point out the importance of marine pollution prevention. This module is also one of five modules (# 1, 2, 5, 88, 123 and workbook) that are included in Seagulls Safety, Health and Environment onboard training course. Được sửa bởi Bố già ngày Wed Jan 18, 2017 10:01 am; sửa lần 2. The main objective of this training programme is to educate the user as to how to provide medical care to sick and injured persons while they remain on board. 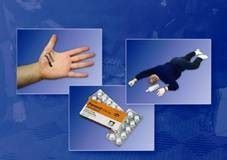 Another objective is to enable the student to participate in coordinated schemes for medical assistance on board ships. Today, there is an increased awareness on environment protection. MARPOL regulations say that, every ship of 400 gross tons and above and every ship certified to carry 15 persons or more must have a garbage management plan. Seagull has together with Teamtec developed a CBT module covering MARPOL Annex V, Class requirements for incinerators, and the operation of incinerators. Được sửa bởi Bố già ngày Wed Jan 18, 2017 10:02 am; sửa lần 3. Pollution from ships at sea has very serious environmental consequences. In response to the concerns about the environment the IMO, adopted MARPOL 73/78, which outlines pollution control measures in six Technical Annexes. This module takes you through these six technical annexes and provides you with an overview of the pollution control measures. 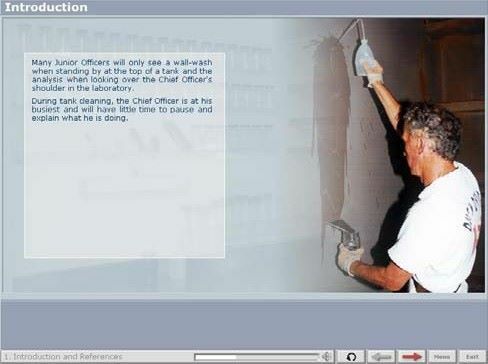 This training module provides a comprehensive overview of wall wash procedures on board a chemical tanker, from the sampling in the cargo tank through to the subsequent laboratory analysis, including an easy-to-use interactive animation of all the standard on-board tests. It explains the precautions necessary to execute both the sampling and the tests successfully and accurately, as part of the vessel’s quality control process and tank- cleaning programme. Being able to understand each other is essential in emergency situations, work planning, etc. 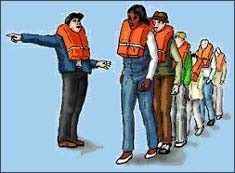 Good communication with others will also contribute to good human relations onboard a ship. Seagull, together with Marlins, has developed a CBT module in which everyone onboard can test their English skills. This module has been especially designed as a progress test for those using the Marlins Study Pack 1. Today it is more and more focus on how to reduce the operational costs of a vessel. Fuel costs are a large factor in operational costs. The objectives of the CBT as a training module is to introduce the crew to the various ways of optimising ship’s energy conservation Seagull AS have developed this module with valuable input from the chemical operator, Seatrans.